I love learning about arrays because they are so visual which allows for a lot of really fun rectangular arrays activities and practice! 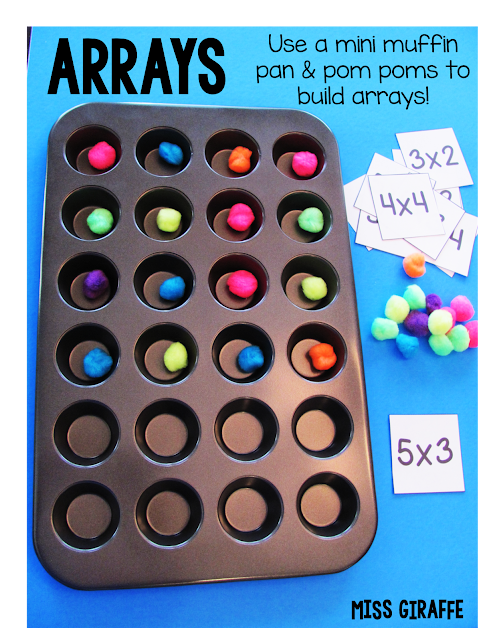 I love hands on math stations and centers so I'd love to share some of my arrays and repeated addition ideas with you! Hopefully you learn some fun, new math instructional strategies to implement in your classroom! One of my favorite things to do for math instruction is paint! Really! An awesome way to practice arrays and repeated addition is to paint them with cotton swabs. I also love using cotton swabs to paint ten frames which I talked about in my big building number sense blog post. Math gets pretty tough in 2nd grade and 3rd grade so the more you can make it hands on and fun, the better! Math becomes a lot more "paper" as they get older so they will pretty much cheer when you bust out the paint! Speaking of paint, I also love making Array-nbows!! 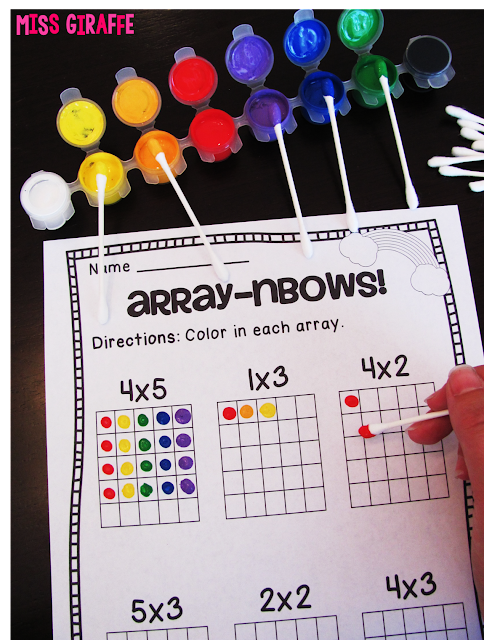 Have your students paint the arrays into their little grids in ROYGBIV order to make array-nbows! Super cute, right?? Like I said, I love paint! You barely use any when you're painting with cotton swabs so it's nice and cheap. To first teach arrays or to help your lower students, I really recommend using cubes. The cubes that snap together really show WHAT repeated addition actually is because they're connected in sets. 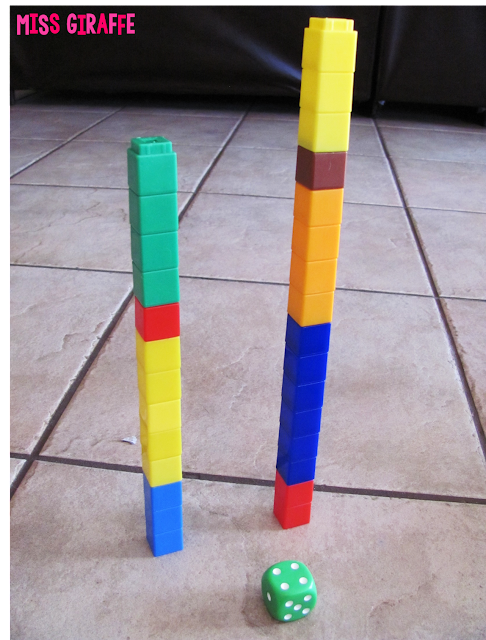 The cubes will really help them see that 3 x 4 is 4 repeated 3 times. 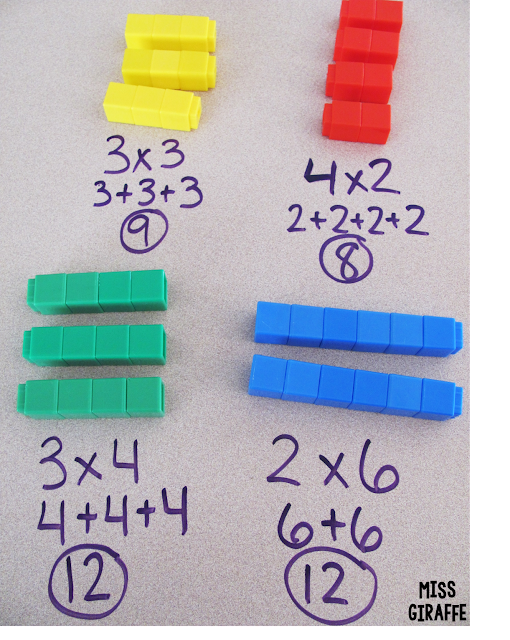 Give them a problem (3x4) and have them build it with cubes at your small group table. 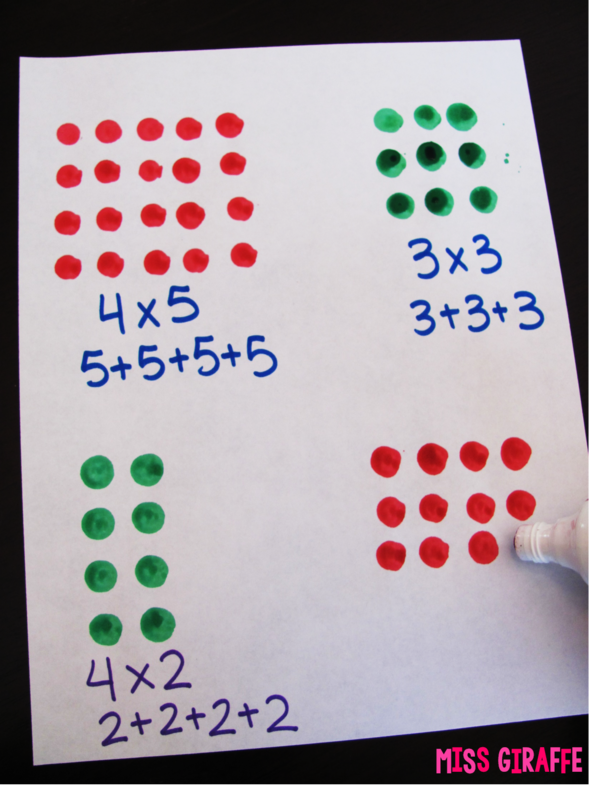 Then, have them say, "This is 3 sets of 4 or 4 + 4 + 4 which is 12" or however you want them to represent it. Cool teacher bonus points for letting them write on the table like this with a dry erase marker, but they can build it on a mini dry erase board and write it there too! Another great way to earn cool teacher bonus points is to use FOOD! Food is the ultimate motivation for learning, it really is... especially when that food is cookies! Speaking of baking and such, another really great way to teach arrays is to practice the visual representation with mini muffin pans and pom pom balls! 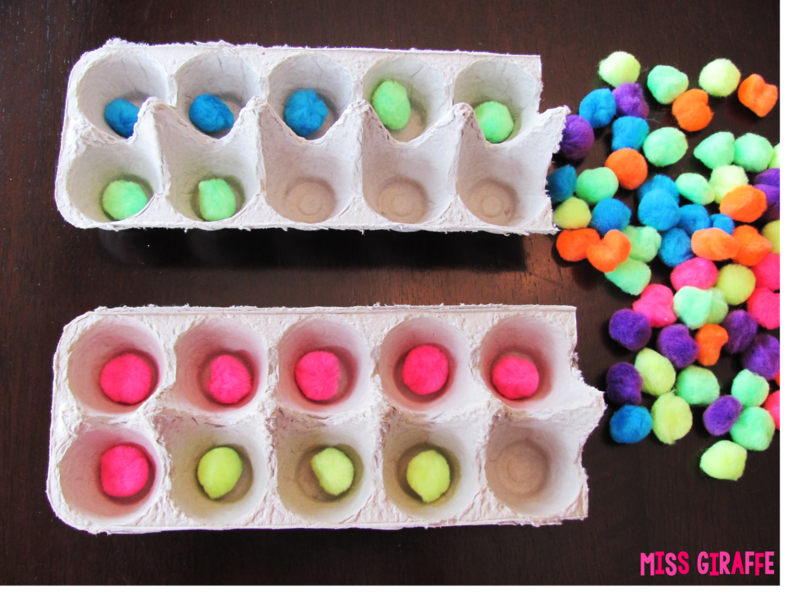 Have students grab a card (ex: 4x4) and fill in their mini muffin tray with pom pom balls to make it. You can get a mini muffin tray at basically any store that has kitchen stuff. I absolutely love this activity because its hands on, colorful, and really helps solidify the concept. Another hands on way to practice arrays is with dough! You may remember the way I use dough for learning fractions.. 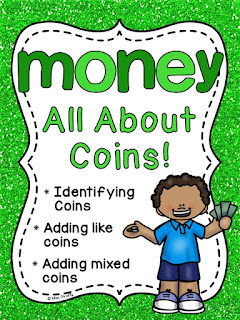 I think it can be used to teach a lot of math concepts, even in 2nd grade, 3rd grade, 4th grade, whatever! They will be so excited to get to play with it because it's probably been a long time since it's regarded as a "little kid" thing. They're still little kids, just in bigger bodies! 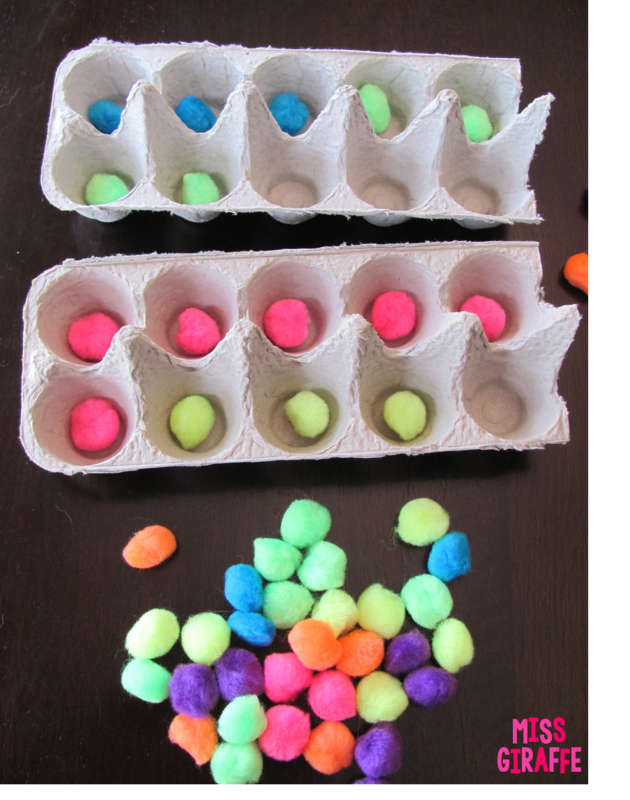 Have students take a card and roll the dough up into little balls to build it. So simple but lots of fun and a great way to practice. You could also have them write the repeated addition form and what it equals on a whiteboard or piece of paper for extra practice! So as if you haven't earned enough cool points with your students yet, bust out some MORE food! Colorful cereal is an easy way to practice! 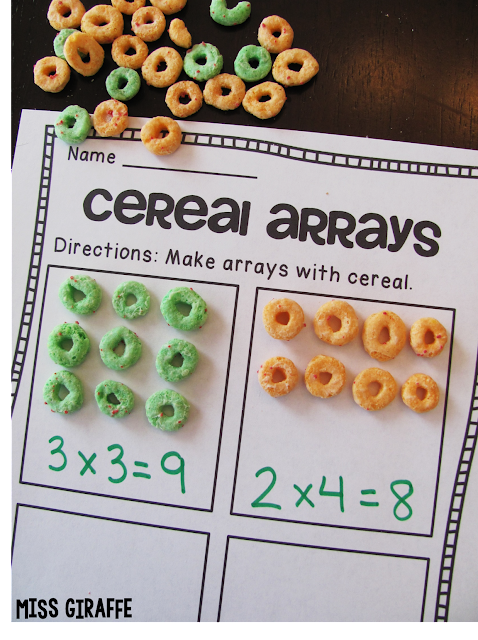 Have students build arrays with cereal. Your choice if you want them to glue it on or eat it! You could have them write 3x3, 3x3=9, 3+3+3, 3+3+3=9, whatever you want them to practice! 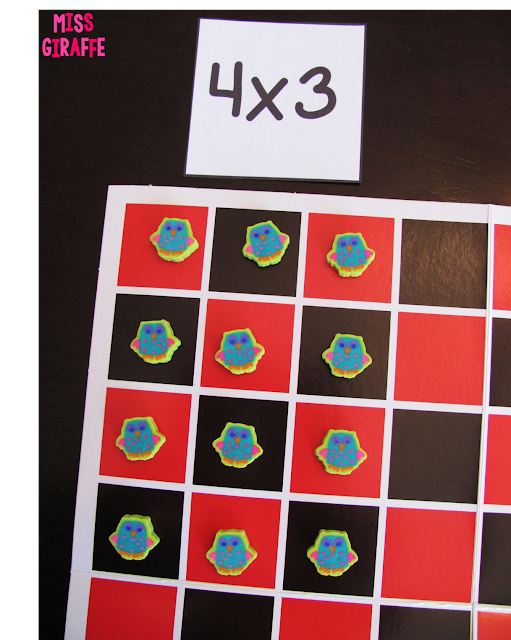 For this puzzle, students match up the 3 pieces for each array and then record on their recording sheet. This helps bring all of the ways to represent an array together in their minds and great practice writing it as well. I also have matching cards that you've seen a little bit of already for small groups instruction. It can also easily be a center where they match the types. I made a recording sheet to go with them in case you want to use it as an independent center after they've worked with the cards in small groups. Another game I love to play with these is MEMORY! 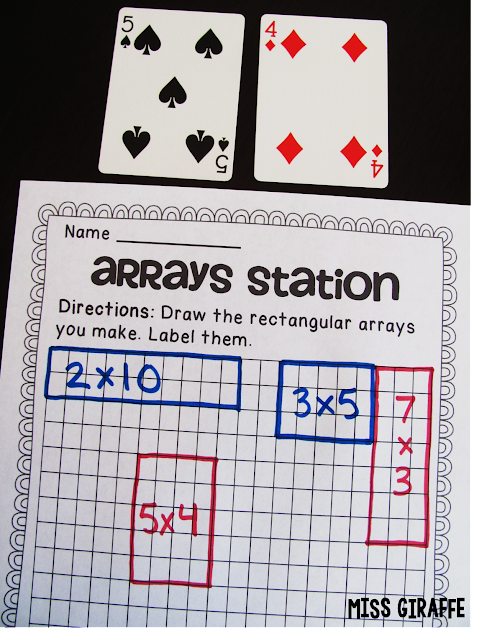 Give students as many matching cards in TWO forms as they can handle. It's important you give only 2 representation types for each match or the 3rd one will never match. So let's say you pick the picture representation (bees) and the numeral (6), you leave the 3x2 card out so each card has a match. Have them work in partners, put all the cards upside down, and take turns flipping 2 over at a time... if they match, they keep them. If not, they put them back where they got them and it's their partner's turn. Keep playing until math station time is over or all of the cards are taken. Easy and fun! Another fun activity you can do is an arrays craft with googly eyes!! This is perfect if you teach arrays around Halloween time but it's really super fun and appropriate any time of the year! 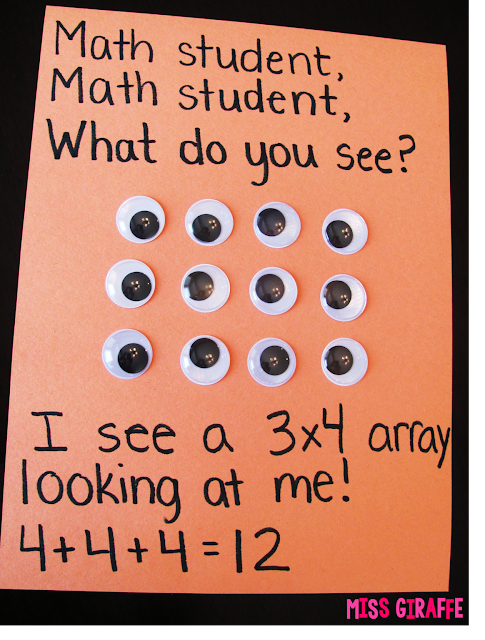 For this craft, students need googly eyes and a piece of construction paper - that's it! Have them form an array with their googly eyes and write out their poem! Instead of "math student, math student," you can have them write their names ("Jayden, Jayden, What do you see?") 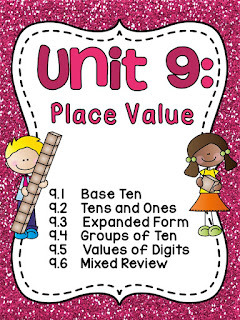 which would make an adorable bulletin board to display your math learning! I got my googly eyes and a lot of other supplies at the dollar store, like these circle stickers people typically use for yard sales! There were a little over 300 circle stickers in the pack for only $1 so it's a cheap "craft" activity. Simply give students the dot stickers and have them build arrays on a sheet of copy paper! 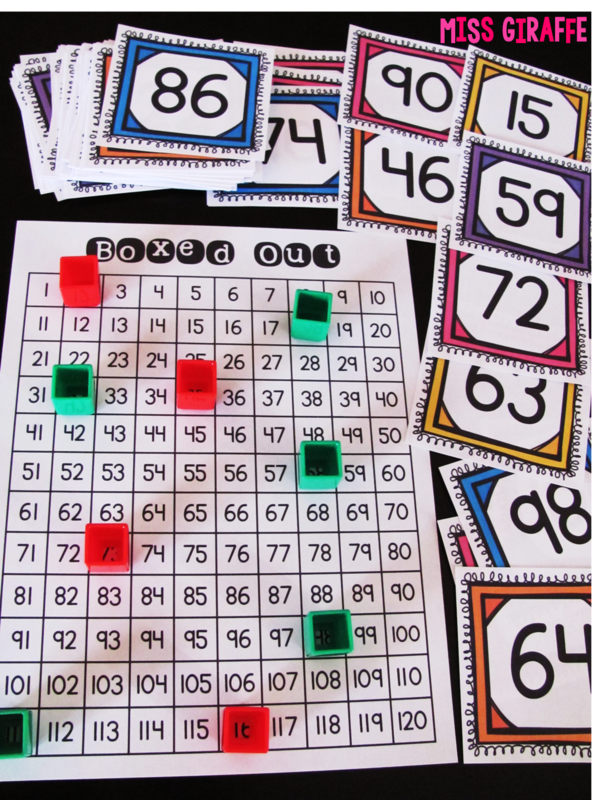 You can also have students use bingo markers to stamp arrays. They love bingo markers! I don't recommend getting them at the dollar store though - the ones I have gotten there are waaay too wet and puddle rather than dab. So many places have them for pretty cheap, just be on the lookout! BUT a great dollar store find are those cheap checkers sets. 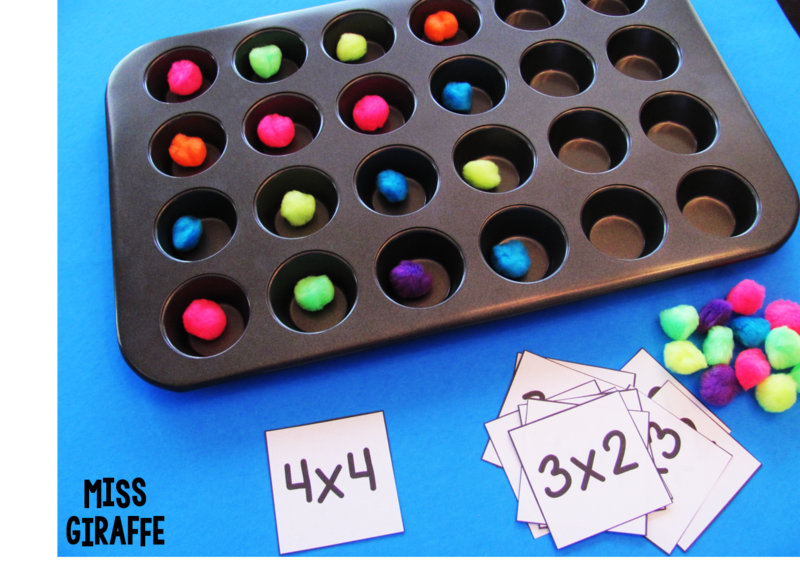 Only a dollar, of course, and their flimsiness is actually perfect because they come folded into fourths which makes separating them into four 4x4 boards to build arrays on for practice is super easy! They're 8x8 so 64 squares total - so you can split them up into 4 mini 4x4 boards for basic arrays OR leave it together to practice bigger arrays. You can use absolutely any object to build the arrays. I love seasonal erasers - you can make it match whatever the current season/holiday/theme is. Owls for fall right now! :) I always grab these little packs of erasers 60 for $1 whenever I see them for math manipulatives! Okay so I also like to make little books for like every math and literacy concept. Books are great because they're fun for students to make and, unlike worksheets, they actually keep them! They take them home and show them off, they reread them, they love them. Books are a great way to review what you've learned and show it off. This little book is a perfect little review. Each page tells them which array to draw and then they write the repeated addition for it. 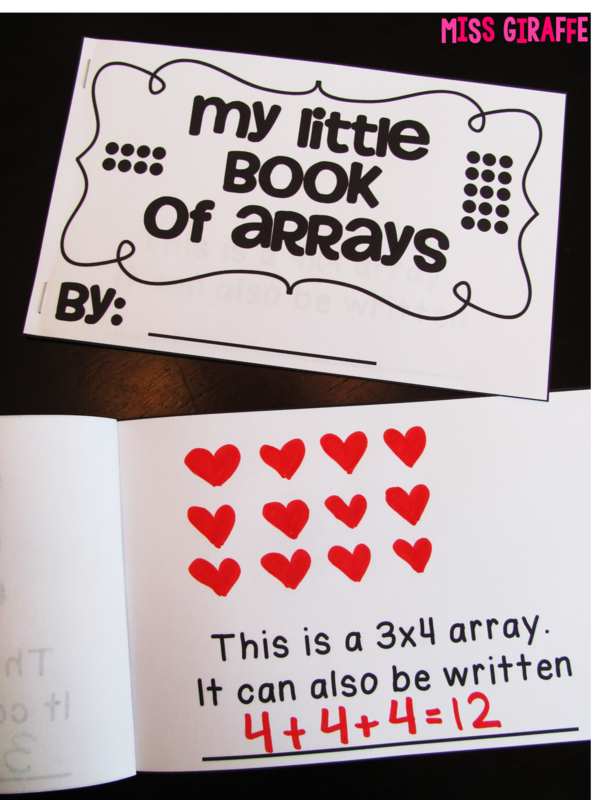 The book is 8 pages (each page is a half-page like shown) including the cover so it practices 7 different arrays. You can easily take out pages to differentiate for struggling students. Another book I like to make are my 3 page sorters. They're a book but also a sorting activity and I have them for a lot of different math and literacy concepts in my TpT store. Each of the top pages (3 of them) is what they're sorting under. So under the 2x2 flap, they'd put the picture representations that match that array on the next page under that. Then, they'd put the next 2x2 picture on the page under that and so on. There are 15 picture representations to sort under each array so each gets 5 pictures under it. They color, cut, sort, and glue! I have many kinder and 1st grade teachers who use all of my little books so trust me, they can do it! So now you feel like they've got it, they've made crafts and little books to show their learning... now you need math stations for next week to review, right?? Don't worry, I've got you covered! In all my math posts, I talk about how I love to use dice for everything... arrays are no exception! 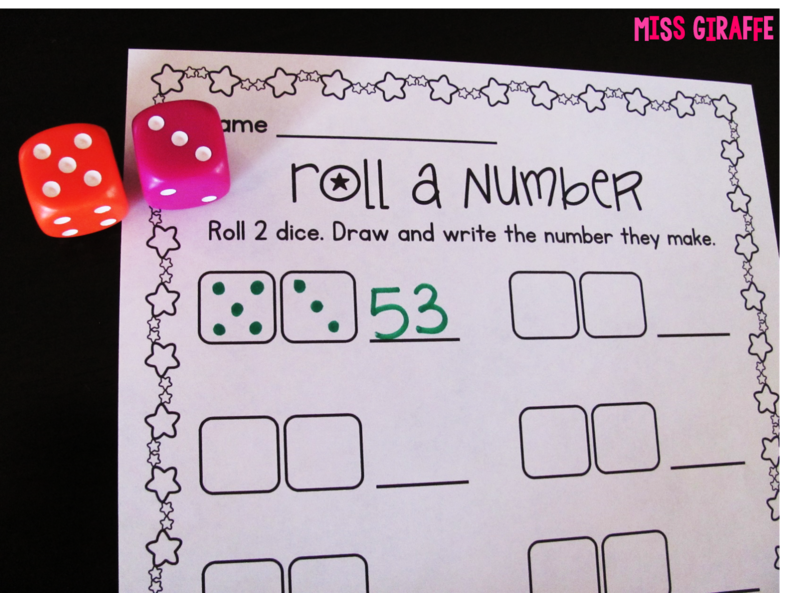 Have students grab 2 dice and the above recording sheet. Have students roll the dice to figure out what array to draw. For example: If they roll a 4 and a 3, they'll draw a box that is 4x3 and write 4x3 inside of it. You could also have them write the repeated addition version instead. - By themselves and see how many arrays they can squeeze together in their box without any overlap. - With a partner, take turns rolling the dice and drawing the array in their color. Your goal is to get as many arrays in your color as you can. Maybe you make it a strategy game for your higher students where they try to block each other or something, I don't know! I just know there are a lot of fun ways to play this and your students will probably come up with their own! To get arrays larger than 6x6 (since dice only go up to 6 - unless you have fancy shmancy numeral dice, that is), you can also use playing cards! Take out the face cards and give them a stack of cards to draw from to make their arrays. I also have worksheets that look like this where they use the sheet to find all of the arrays that equal 12 and another where they find all the arrays that equal 20 to get them thinking! 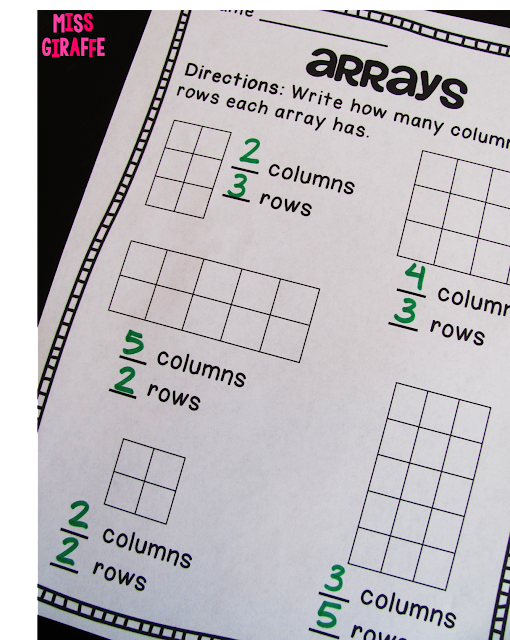 I also have a worksheet to practice columns and rows since that is a concept that is helpful for them to know. Simple, straightforward practice or assessment as you can see below. 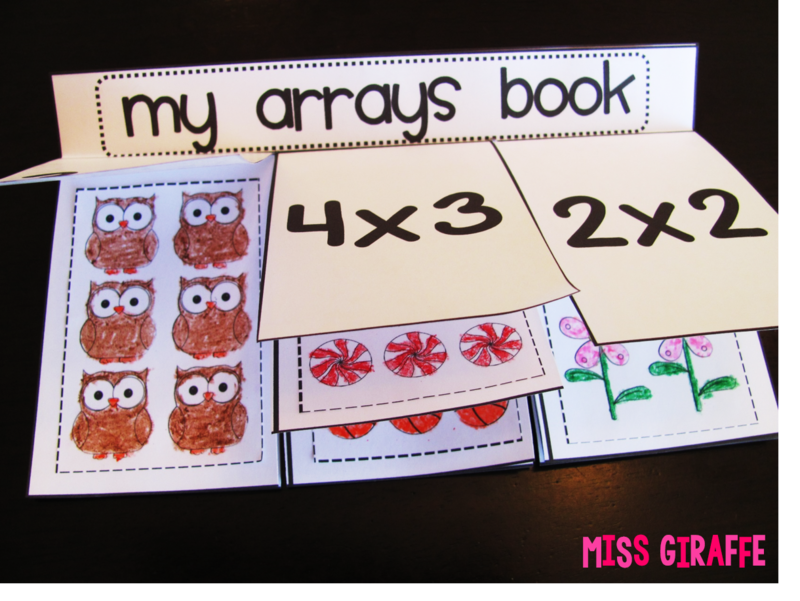 So do you feel ready to teach arrays now???? I sure hope so! 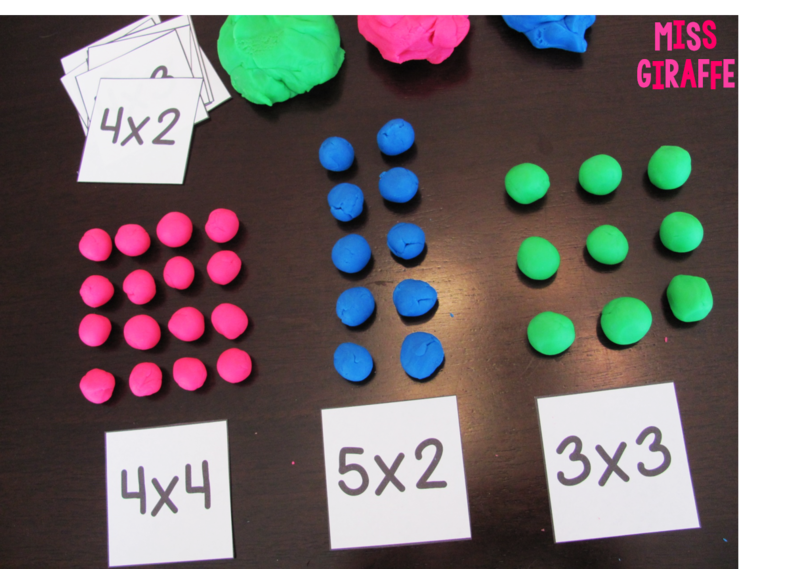 It lays a great foundation for multiplication and really helps students to see the why and I love that!! 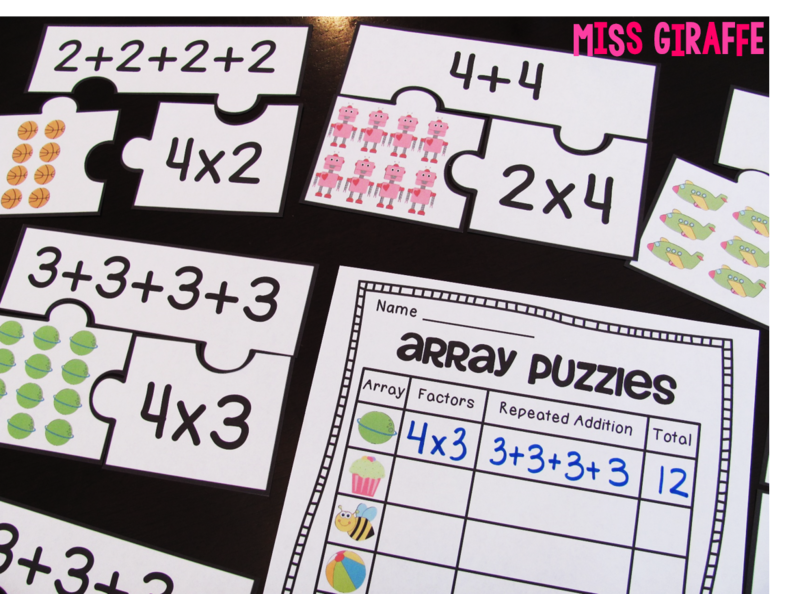 If you want to save yourself a boatload of time and grab all of these activities, they're in my Arrays Arrays Arrays pack!! I will discount it for a limited time in honor of this post so go check it out! 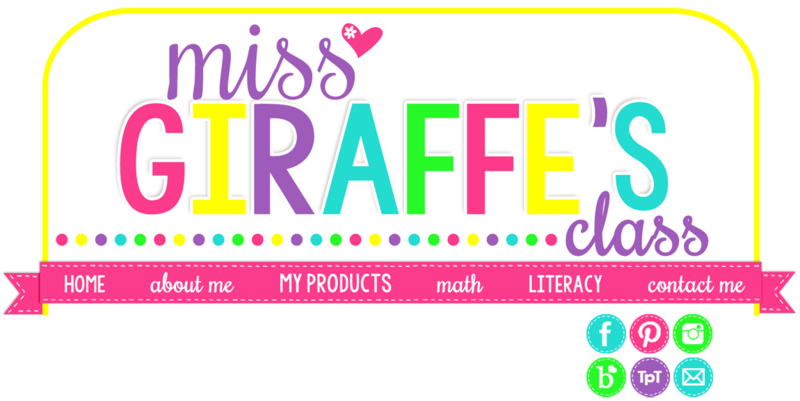 I already have A LOT of math resources and I'm working on a TON more that I will be posting this summer and school year so be sure to follow me on Teachers Pay Teachers as well so you don't miss out! Thank you so much for taking the time to read about my arrays ideas!! 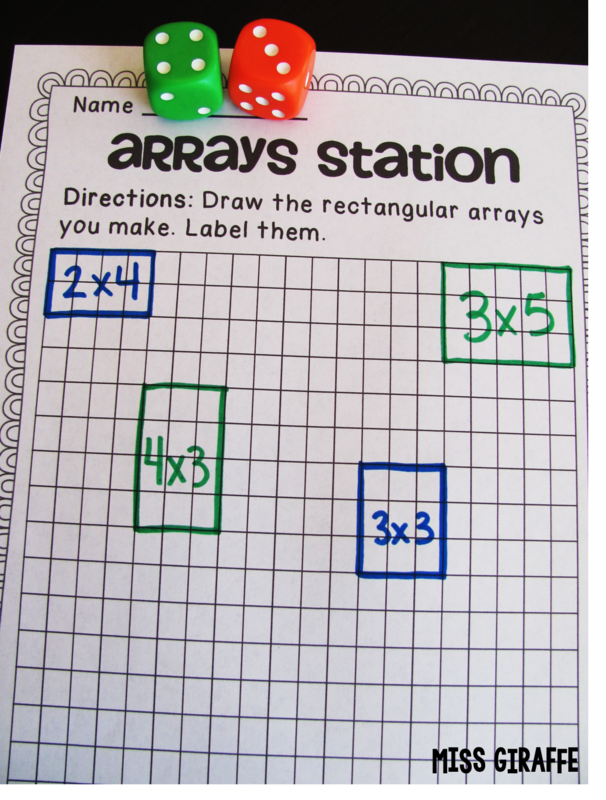 I hope this post was helpful for you and you feel equipped with a lot of strategies to teach arrays! If you want to keep up with all the teaching ideas and fun stuff I share, you can follow me in these places too if you want! Building number sense in first grade can seem daunting but with the right number sense activities and lessons, it can be a lot of fun! 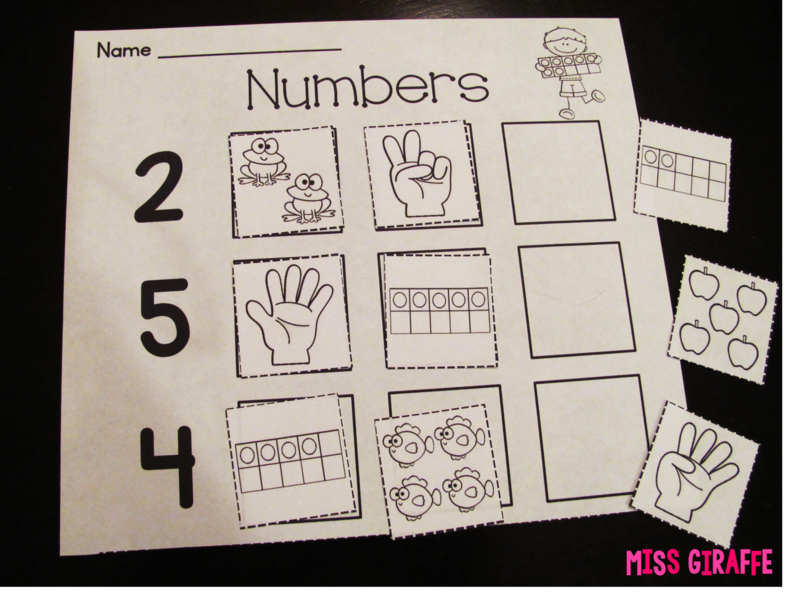 In this post, I hope to share with you a lot of engaging number sense ideas that will help your students continue to build their number sense all year long, no matter where they are at when they come to you from kindergarten. 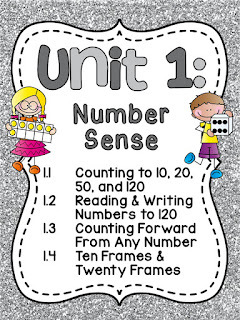 This is a LONG post but I promise there are a TON of great number sense ideas in here - keep reading! 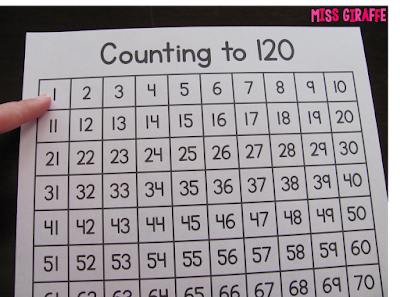 My first piece of advice is to make sure your students are exposed to a 1-120 chart every single day! Use it A TON. Every day. The more they see it, the better. Use the number chart as a classroom management tool! 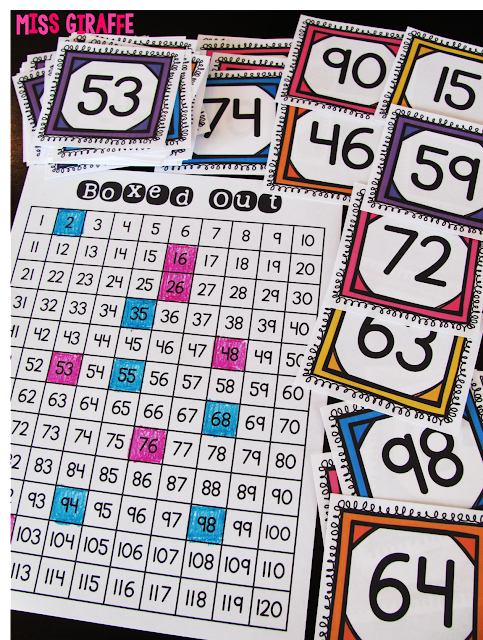 Make a poster-sized number chart and hang it on the wall. Print out my number cards (1-120) and put them in a bucket. When students are being good (or if they meet a goal you set for them), pick a student to go pick a number out of the bucket. They bring you the number and you color it in on the number chart. Be sure to use a light colored colored pencil or crayon so they can still see the number easily. When they get an entire row or column colored in, they get a SECRET PRIZE. Dun dun duuuunn! 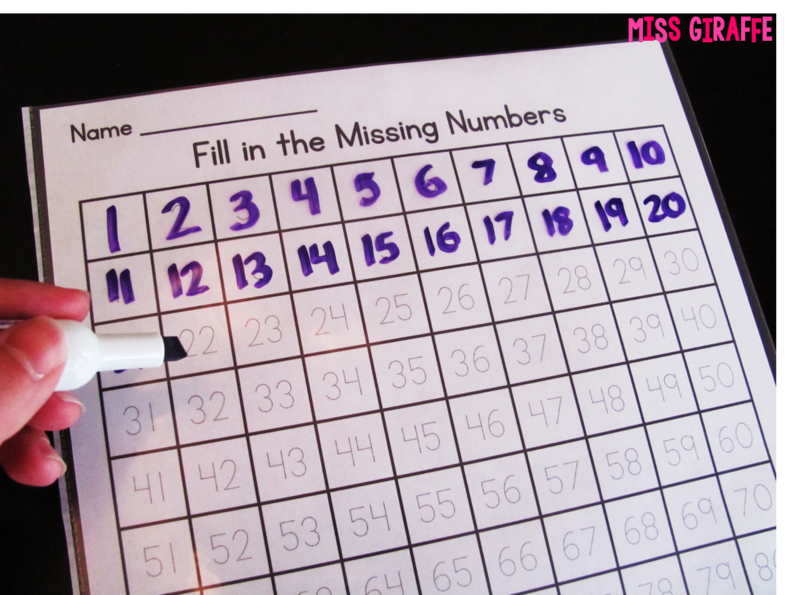 You can bet EVERY kid is watching that chart when it happens, looking at the numbers, and trying to figure out which ones they still need, especially as it gets more and more filled up! Announce the number excitedly. "55! Can someone come show me where 55 is?" and then color it in. "What numbers could we use with 55 to make a line?" and then you'll have students counting by 10s unknowingly (5, 15, 25, 35, 45, 65, 75, etc.) and by 1s (50, 51, 52, etc.) and there are a lot of other great questions you can ask here and there. Or you can just color in the number and they'll still be engaged. 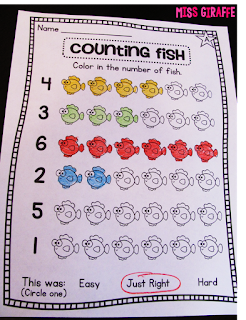 It's a great classroom management tool that helps with behavior AND number sense. Win win! The beauty is that it will take a LONG time to fill up the chart before you get a full line so you can use it as a behavior management tool for awhile. After you get a full line, think of something fun to do as the secret prize like an extra recess with popsicles or whatever you want to give them! AND THEN... tell them they get another secret prize when they fill up the entire chart! 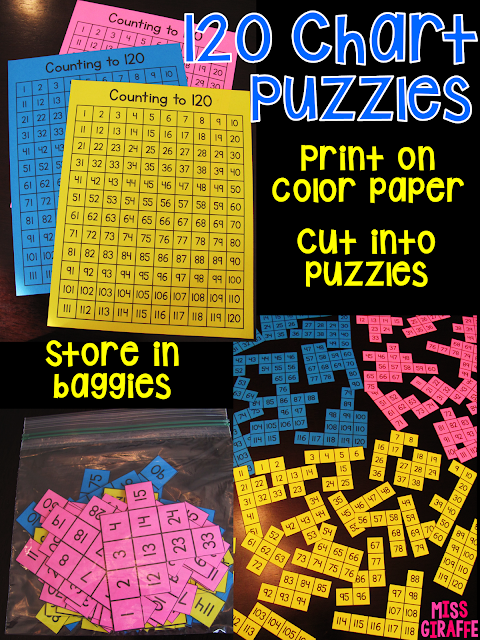 Have fun math stations that use the 120 Chart! 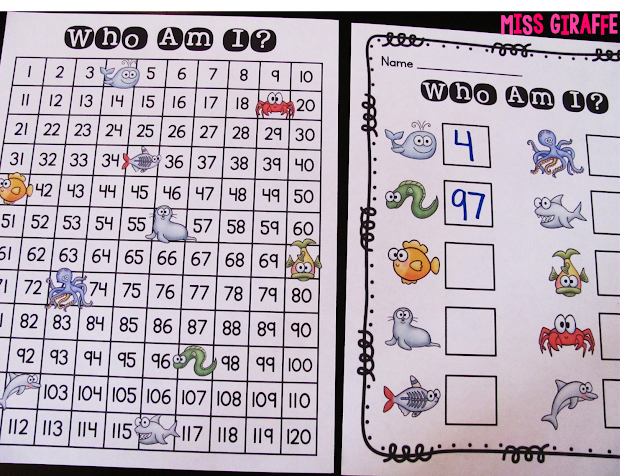 One of my favorite 120 chart centers (and I have a lot) is Who Am I? 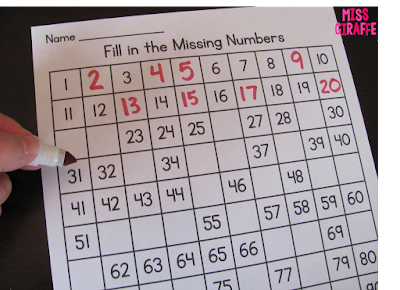 because it is fun, mysterious, and great for both number recognition and working with the hundreds chart. I have this in a bunch of fun themes like ocean animals, farm animals, bugs, zoo animals, etc. 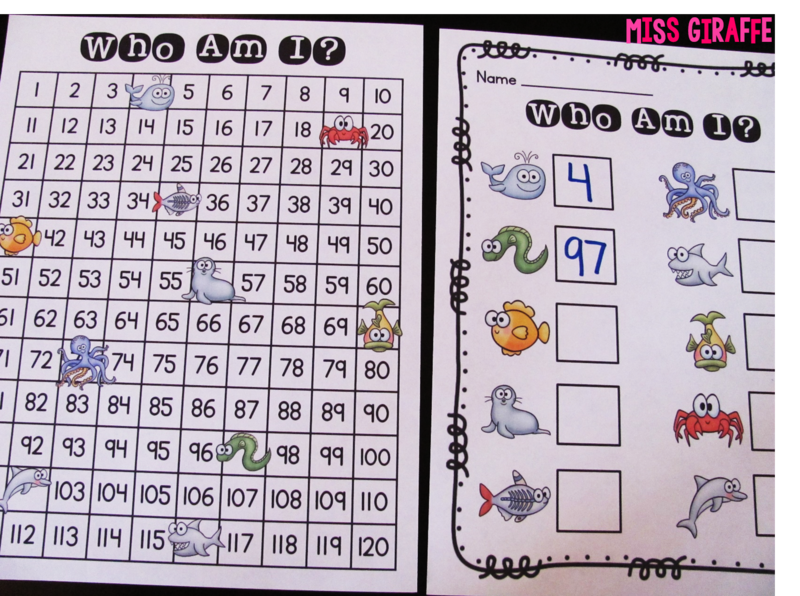 Just tell your kids that the animals have taken over the hundreds chart and you need them to help you figure out which number the animal stole... so they look at where the animal is, figure out what number it is, and write it next to that animal on their recording sheet! Easy but great practice! Another 120 chart activity I love is Race to Fill. All you need for this center is empty 120 charts. Have students work in partners to race to fill up the 120 chart. THIS IS THE BEST GAME EVER. They think it's a super fun race... really, they're just filling in a 120 chart. They sit next to their partner and share a blank 120 chart. When you say GO, the first partner writes in 1 and hands it quickly to their partner who writes 2 and gets it back to write 3 and hands it to their partner who writes 4... all the way to 120! They will be rushing to write and hand it back and forth - it's just a blast! 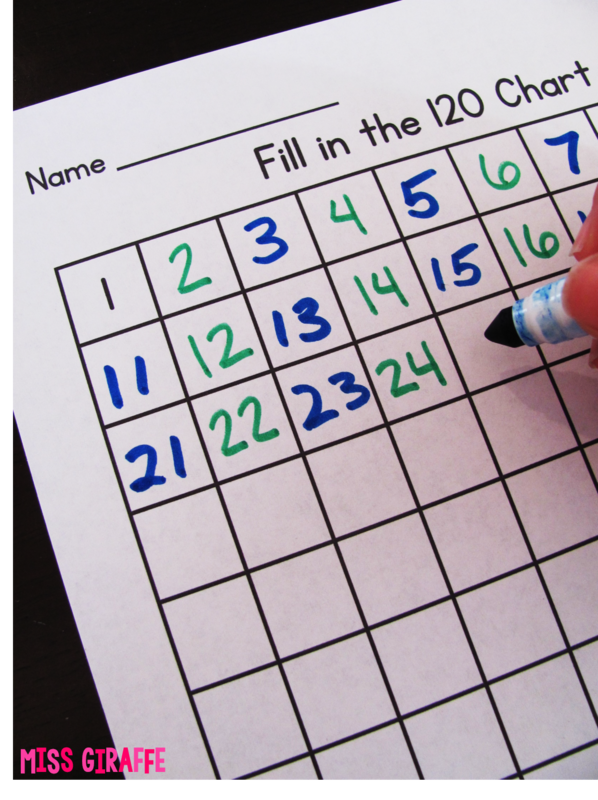 In the beginning of the year and/or to teach the game (or for your lower kids), you can use my blank 1-20 chart so it's not too overwhelming. Then you can move up to the 1-50 charts and eventually the 1-120 chart. Oh, this is important - have students write with markers and make sure partners have a different color so that you can see they did their equal share. Otherwise, you might have one just start writing when you're not looking & you can avoid the whole, "He cheated!!" tattling fiasco. Another fun game is Boxed Out. For this game, you'll use the 1-120 number cards again (mix them up and put them upside down) and the Boxed Out hundreds chart. Students take turns drawing a number and placing their color marker on the number. First person to get 5 numbers in a row (in any direction) wins! You can also have them color in the number in their color crayon. This way, they can still see the numbers while they're playing AND it will disallow "bumping." 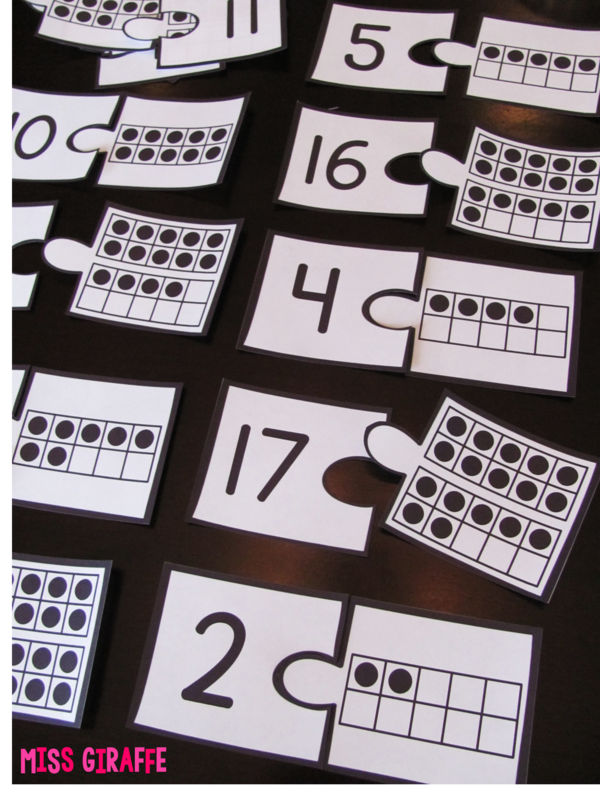 - Use them for small group number recognition fun: Have a small group of students sit at your teacher table. Take the stack of cards and put them upside down in front of you. Hold the first card up in front of the 1st student at your table. If they can tell you what number it is ("thirty-two"), you give them the card. If they don't know it, the person next to them has a chance... if that person knows it, they keep it & if they don't know it, the next person gets a chance. It's a fast-paced fun game where they collect as many numbers as they can. - Students can play War with a partner when they're done with their regular work. Have them separate the cards into 2 upside down piles then they each flip one at a time from their pile. Whoever has the bigger number gets to keep both cards. Great number recognition and number sense practice! - Give them a handful of cards and have them put them in numerical order. 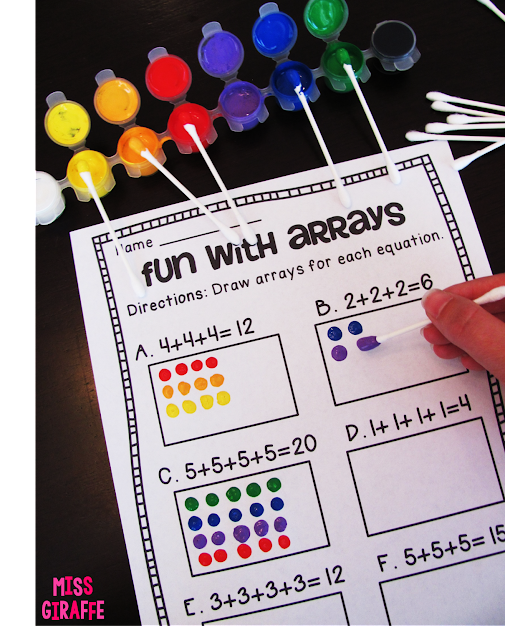 Easy small group activity. 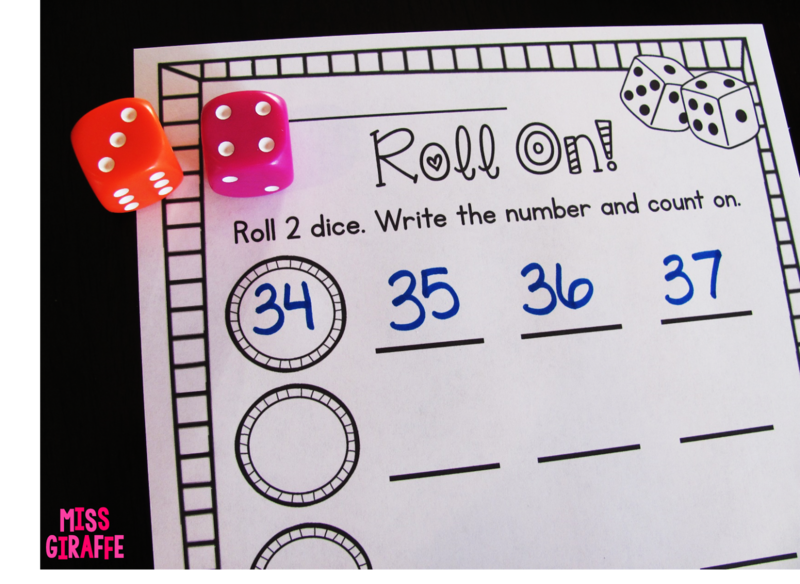 For Roll A Number, they simply roll 2 dice.. draw their dice and write the number they made. So if they roll a 2 and a 3, they made 23. 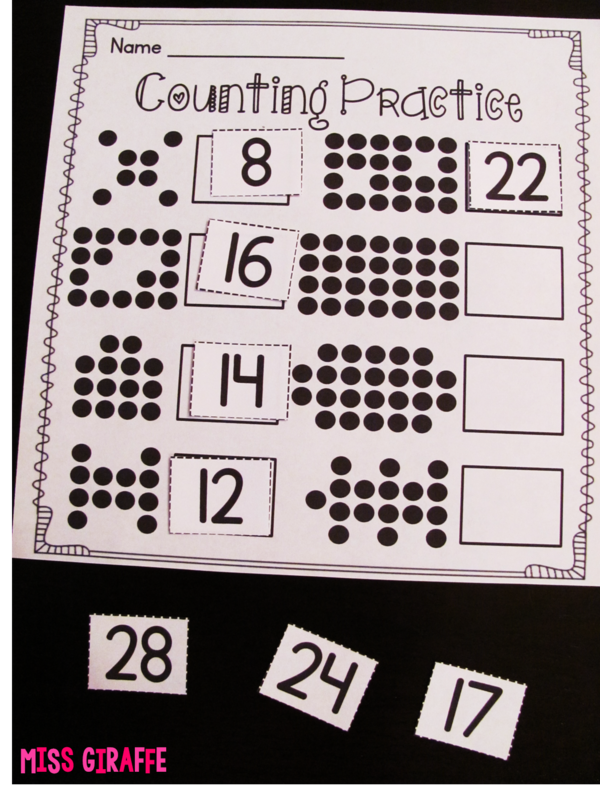 Simple, effective subitizing practice, number recognition, number writing, etc. If you want to make it a game, have 2 students play side by side, take turns rolling/writing their number, and the kid with the bigger number in that round circles his on his recording sheet. Most circles wins. Anything you can make seem like a game is a win! 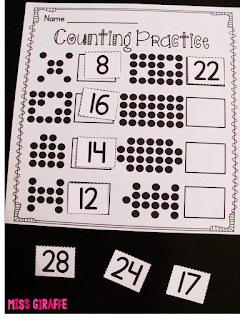 Count together every single day with personal 1-120 charts! If you are counting together during calendar pointing to a poster on the wall, stop it! Okay okay, keep doing it if you want to but what if I told you there's a better way that will build their number sense so much faster?? When you're the one pointing, some kids aren't looking or the numbers just aren't registering the same or maybe it's going too fast for them. 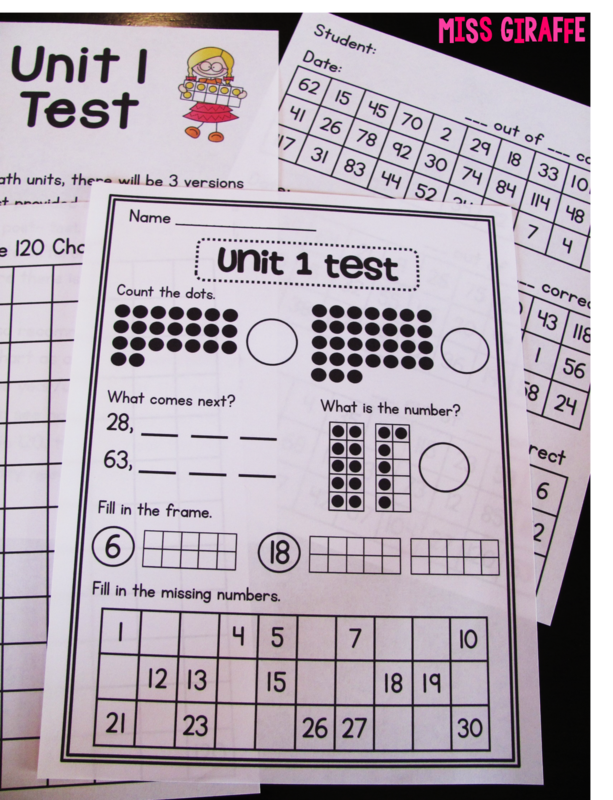 INSTEAD - give each child a printed out 1-120 chart in their math folders. Have them sit in their seats so you can walk around and ensure every person has their finger on 1 to start. Once everyone is on 1, have them touch 1 and say "one," touch 2 and say "two," touch 3 and say "three," etc. for every number. Only count to 20 the first few days. 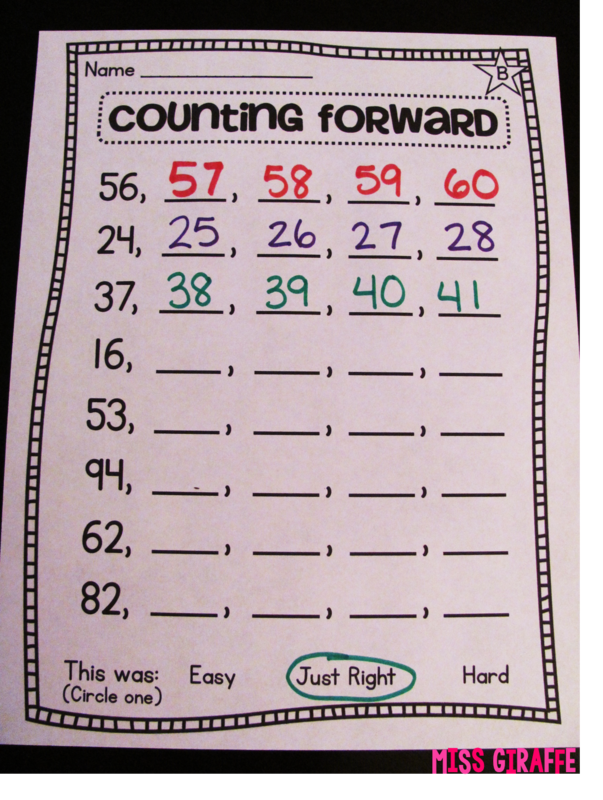 Spend a lot of time making sure every student is touching the number as they say it. Do this as a math warmup every day! Once they get good at 20, move up to 50, then 100, then 120. Don't just jump in at 50 even if they can do it - let them build their stamina! Make it a big deal when they can move up to bigger kid numbers (woohoo!). 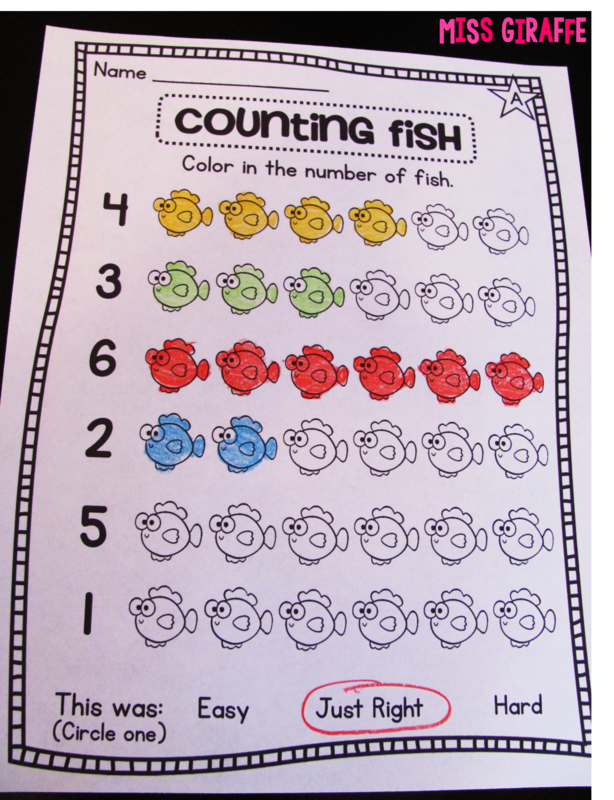 It's not the most fun thing in the world but it doesn't take that long and they will really get a lot out of counting while looking at and touching each number! 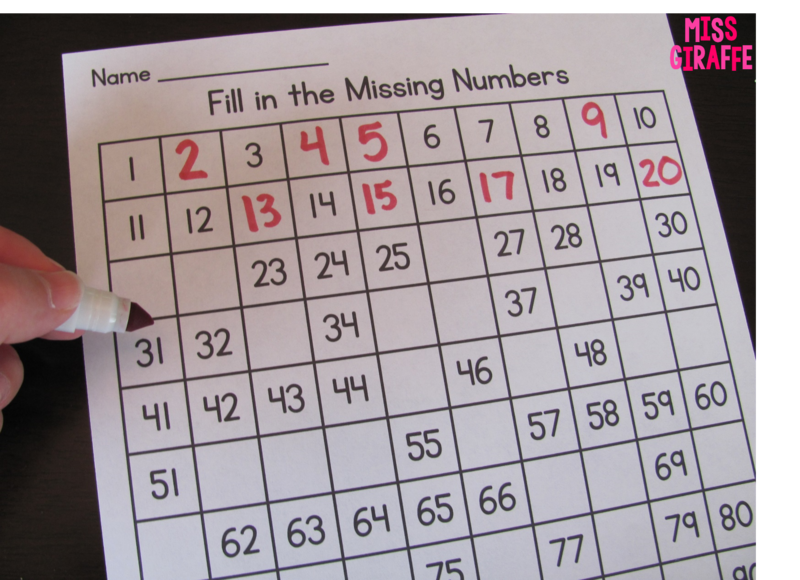 It will really solidify their number recognition and will help them start to see patterns in the numbers by having to focus on where the numbers are on the chart. 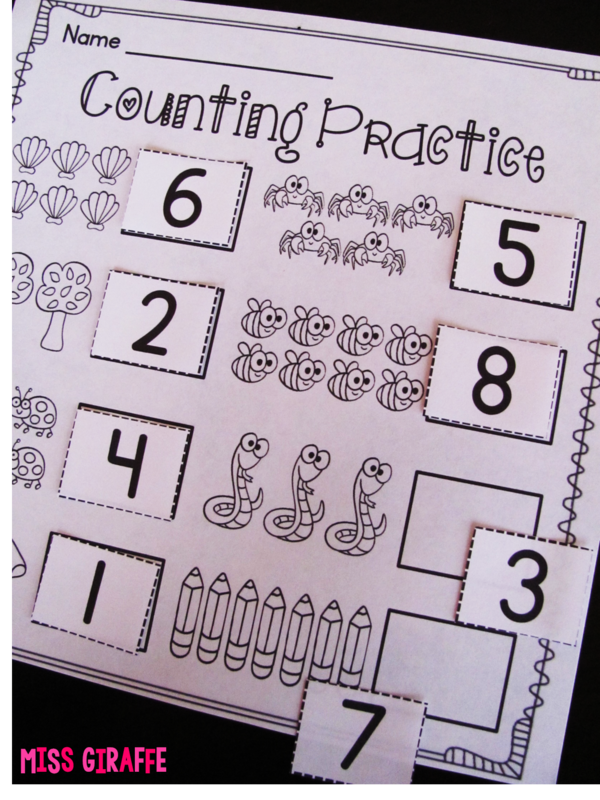 You can also add counting by 2s, 5s, 10s, etc. when the time comes - again, make sure they're touching it! It will really help them see how it really does skip by 2 or skip by 5 or skip by 10 on the chart. You've probably seen this idea everywhere but it's worth mentioning because it's a great one. I wish I could say I thought of it (and I wish I knew who did!) but I've seen it a million places. 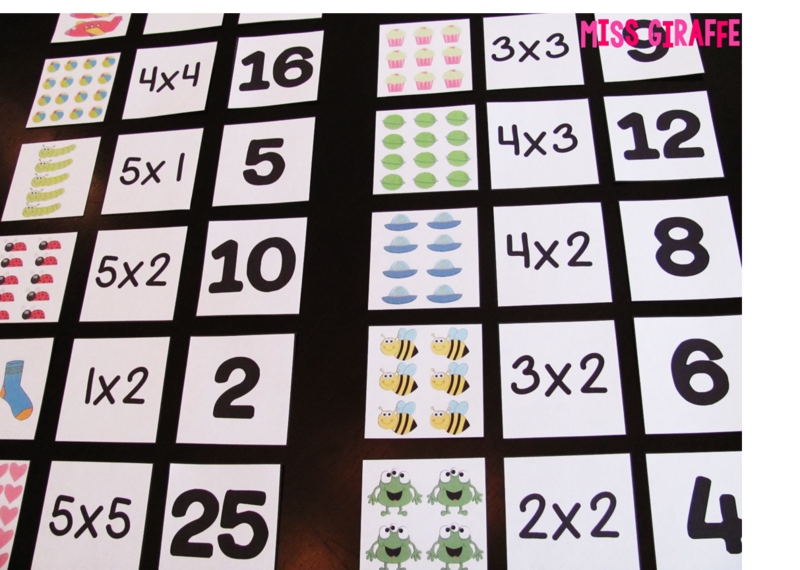 Print 120 charts on a few different colors of copy paper, cut them up, and put them into baggies as a center. I recommend only doing 1 puzzle in each color so that if the pieces get mixed up, your students know which baggie to put them back into during cleanup. 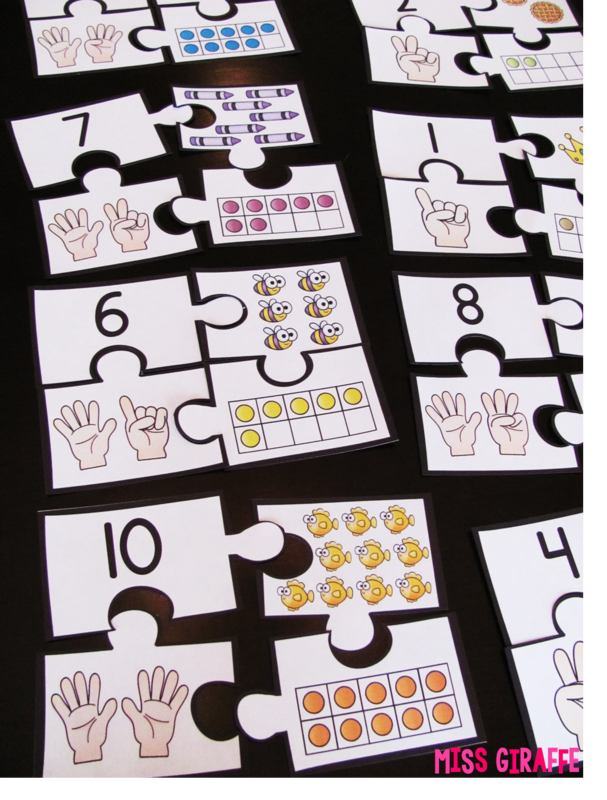 You can just give them to your students to complete without any guidance OR give them a white NOT cut up 120 chart to lay their pieces on top of as a guide if they need extra help. 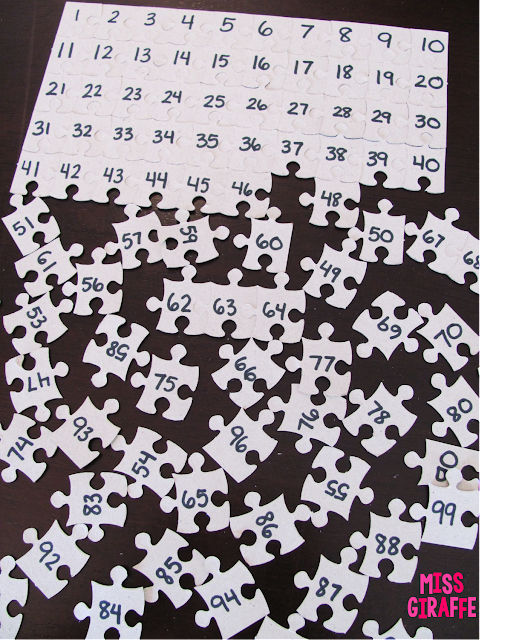 Another fun idea is to write numbers on the back of puzzle pieces and have them put it together. The 100 piece puzzles from the dollar store are perfect! Easy, CHEAP center! 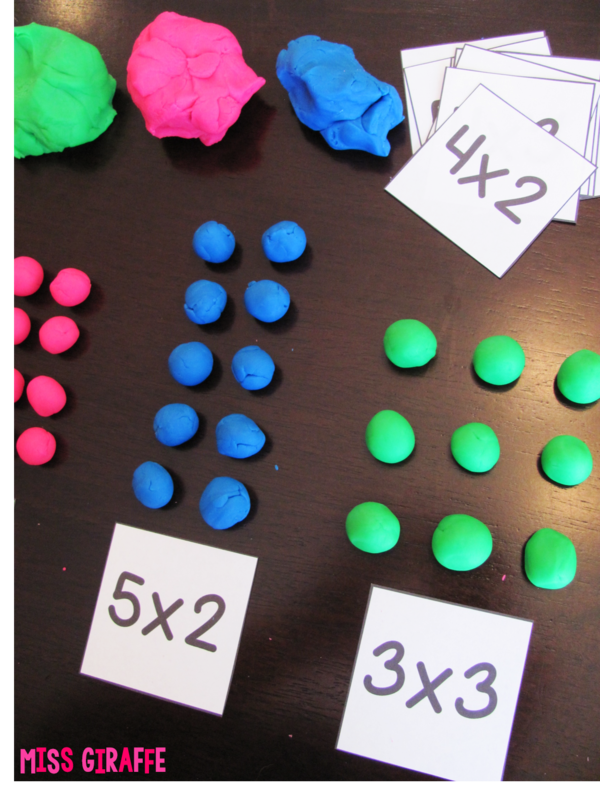 I think it's important to show numbers represented in a lot of different ways like the written form, dots, objects, fingers, ten frames, etc. 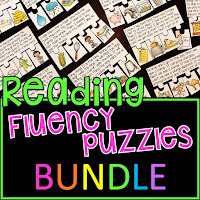 Use puzzles and fun matching games! 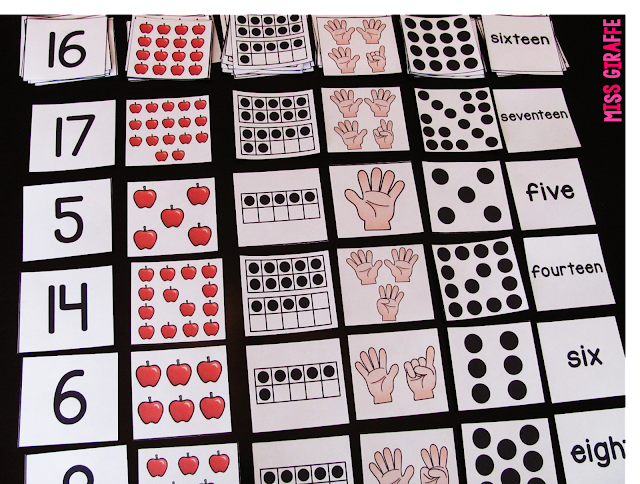 I have little cards that have ten frames, written form, objects (apples), dots, and finger counting cards for numbers 1-20. You can use them for so many different things! You can pick any 2, or 3, or 4 (however many they can handle!) card types and have them match them to each other. For example, have them match the number cards (3) to the ten frame (3 dots on a ten frame) card. Easy mix and match centers! Also great for working with small groups! You can really use these over and over all year. Use cut and paste activities! Anyone who reads my blog knows I have cut and paste activities for every math concept imaginable. I LOVE them. Puffy heart love. Don't assume they can count objects! They might be able to say the numbers 1-120 perfectly but don't be fooled! Make sure they can actually count pictures or objects and figure out how many. 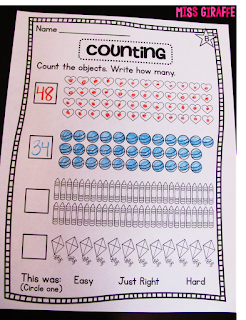 A lot of kids just keep counting but they need to understand that when they are counting, when they run out of objects, they STOP and that is how many there are. 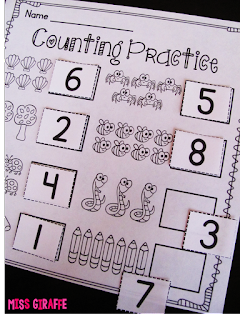 Worksheets are a quick and easy way to assess their counting skills! 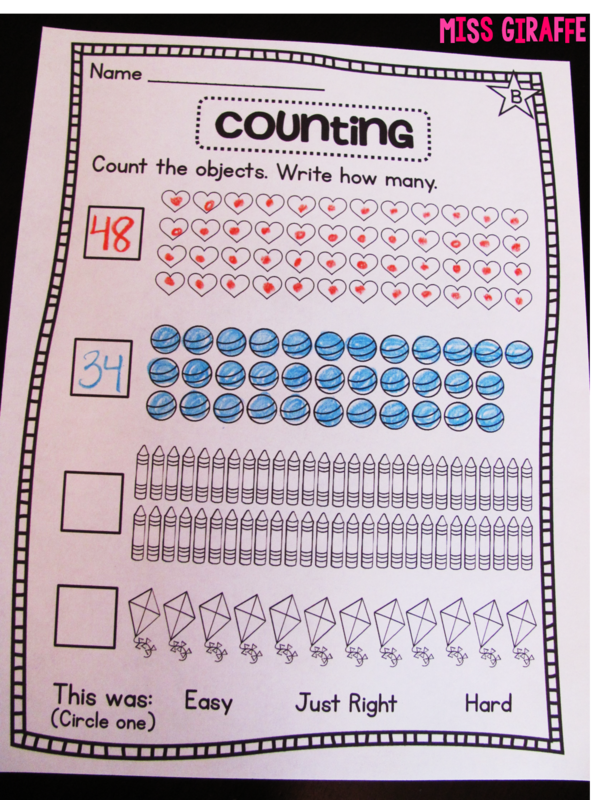 They simply count the object, match it to the write number, and then write the number on their recording sheet next to that object! Another center I love for counting is Grab It! Students simply grab a handful from the bucket and put it in front of them. Next, they guess how many they grabbed, and write it on their recording sheet. Then, they count the objects and write the real number in the 2nd circle. Here you can see I used pom pom balls but you can use ANYTHING! You can make it seasonal and cute or just use any math manipulative or even fun objects like scary eyeballs at Halloween. The bigger the object, the easier the center is.. so if you want to make the center harder, use a smaller object. Another fun center that your students will love is Stack It! Instead of stacking cubes, you can also use them to fill something up! Not sure what this center would be called... Let's go with... Race to Fill it Up! because I am just all out of creativity by this point in the post! Each student gets a cup. On their turn, they roll the dice and put that many of whatever the object is in their cup. First to fill their cup wins! If you have a few extra minutes in line because you underestimated your hungry students' ability to pack up in 2 seconds for lunch, a game is a great way to keep them learning... and quiet! Have the line leader start at 0 and the person behind them says 1, next person says 2, etc. all the way down the line. When you get to little Johnny at the end of the line at 26, the person in front of Johnny who just said 25 will flip it back around and say 27 and it'll go back up the line the other direction. Keep counting and flipping until it's time to go - challenge them to see how high they can get! It'll be nice and quiet because they'll want to hear the number coming for them! If you do 2 lines, have them race! If a student does not know a number, please don't make them sit down or be "out" - they're the ones that need to be participating the most! Plus, you don't want to make them feel bad. Give them a few seconds, prompt if you can, and then just help them if they still can't get it. I know you know this but let's keep those affective filters low and learning lighthearted! Oh man, counting on from any starting point! This can be a tough one! With a bunch of exposure to the 120 chart using the number sense activites above, though, they should be able to rock it soon enough. Dice are always a good motivator though, am I right? 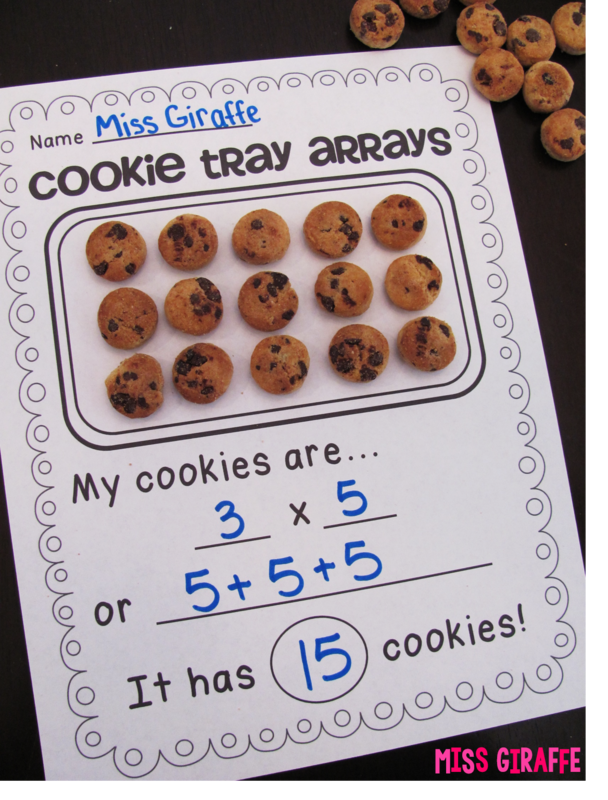 Worksheets and cut and pastes are straightforward ways to practice the skill. 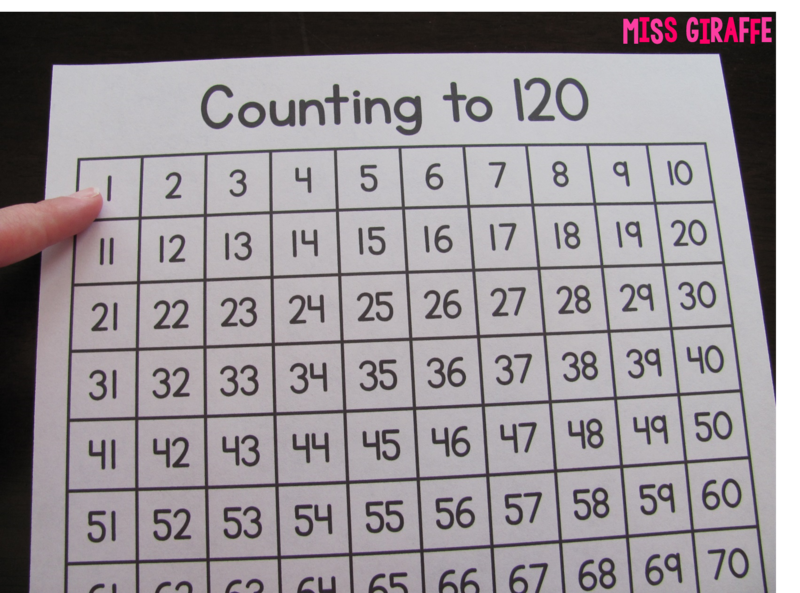 I recommend allowing the use of the 120 chart for students who are struggling. Practicing in centers is also a good idea. 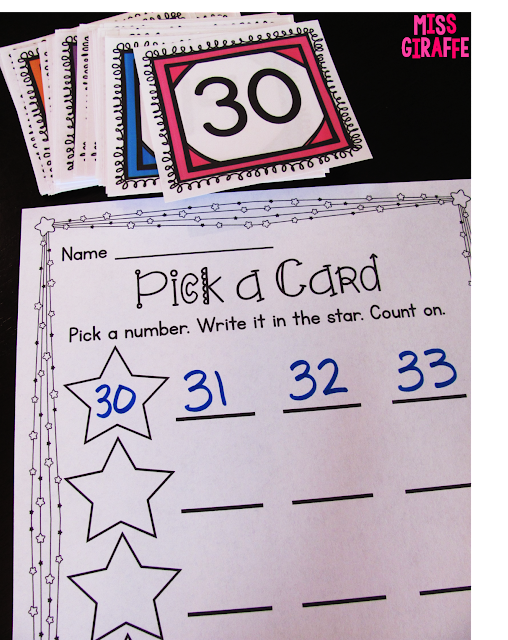 Have them draw a card from your number cards stack, write it, and fill in the numbers that come after it. Ten frames are all the rage right now and I really do feel like they help students, especially when moving into addition. The more instantaneous they can "read" the numbers, the better. 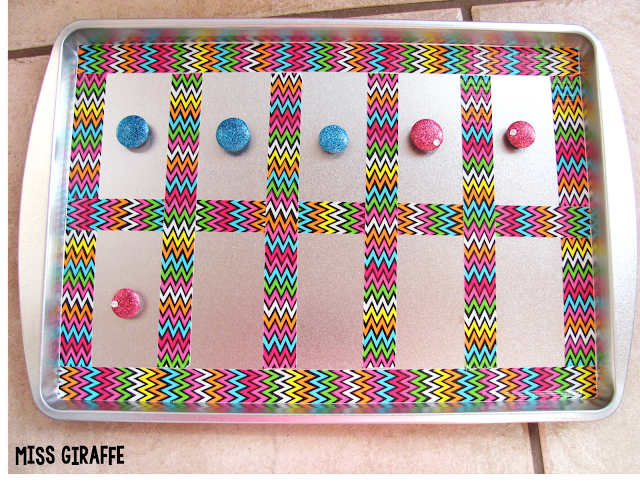 Make your own magnetic ten frames! Okay so these are so super simple to make and great for centers/small groups! Go to the dollar store and grab some magnetic cookie sheets. Find a magnet in the dollar store and stick it on to double check they're magnetic before you buy them! Then, get tape and tape it off into a ten frame. 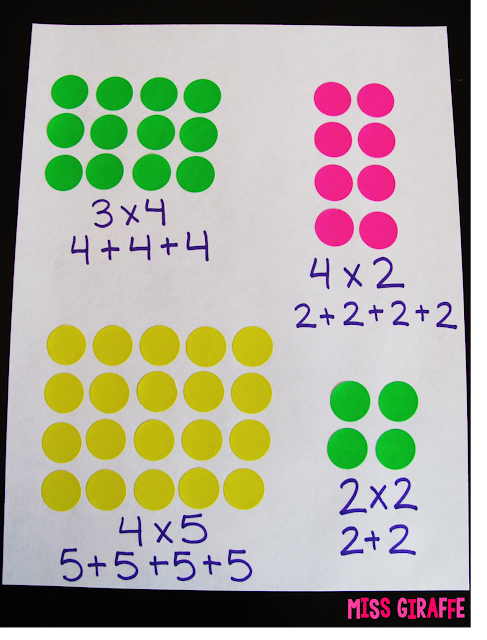 Last, use some cute magnets as your dots! Your students will love them... and they're so cheap to make! 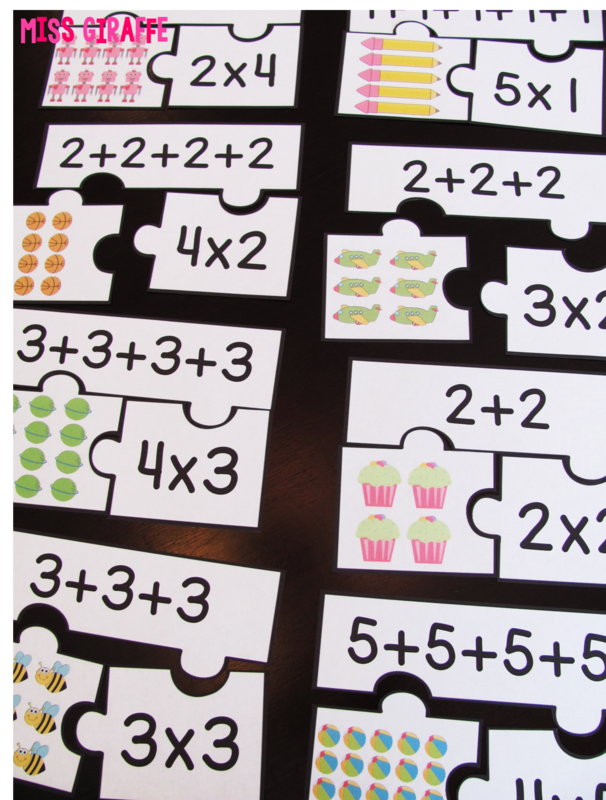 More puzzles & cut and pastes, of course! 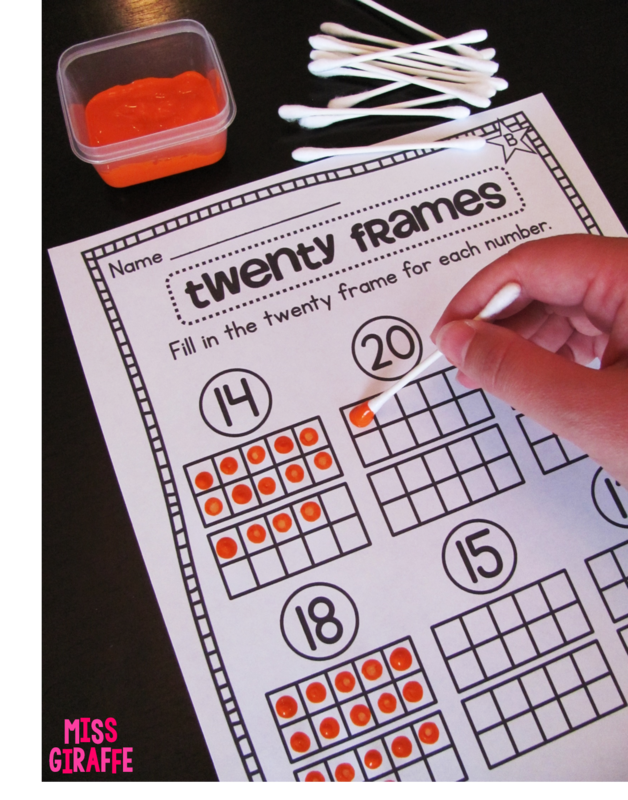 Use cotton swabs and paint to color in ten frames! 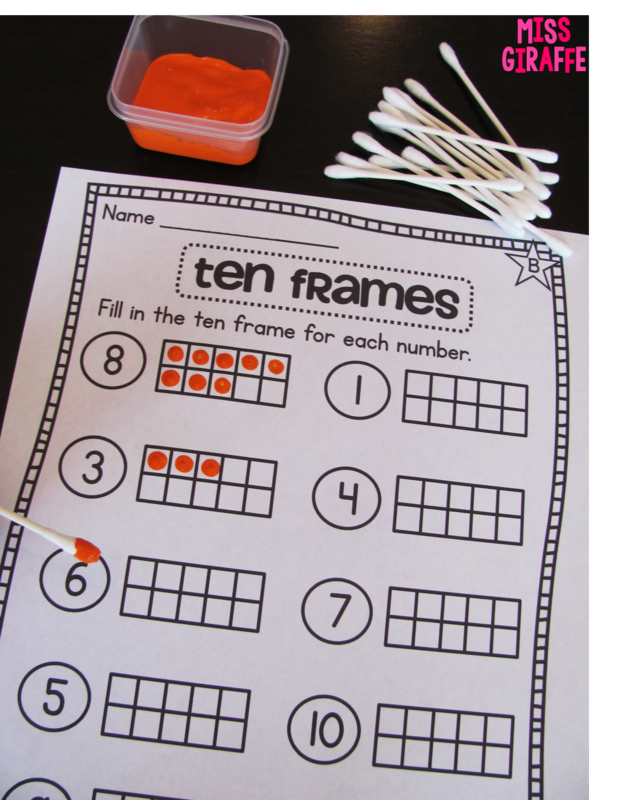 You could have students draw dots into their ten frame worksheets using a pencil..... or you could be crowned THE BEST TEACHER EVER and let them paint in their ten frames using cotton swabs! It's super easy, uses hardly any paint, and you'll get to see their cute little concentration faces as they try to dab them perfectly into each square. Simply give them one of my ten frame worksheets where it has the number they need to make and empty ten frames and let them paint the ten frames in to be that number. 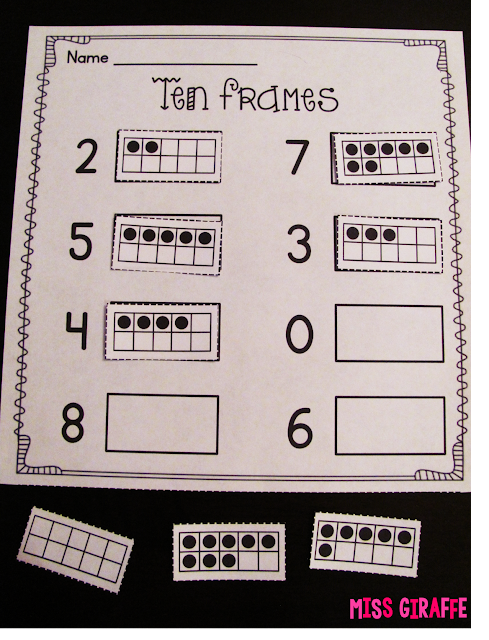 You can also use one of my twenty frame worksheets! Recycle old egg cartons into ten frames! Cut off the flaps and 2 of the egg holders and - voila! - instant ten frame! These are great for students to use in small groups because they're small enough for each student to have one and things don't fall out of them easily. 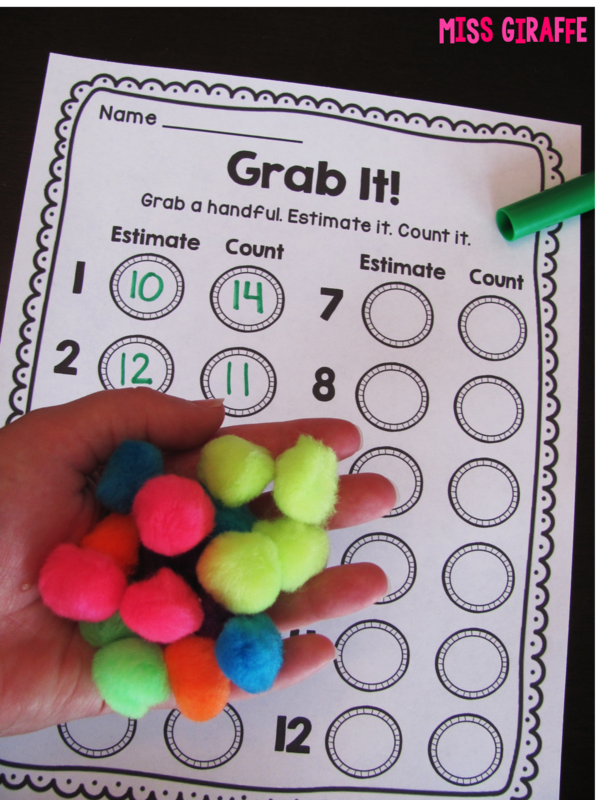 Big pom pom balls are perfect to use as the dots. 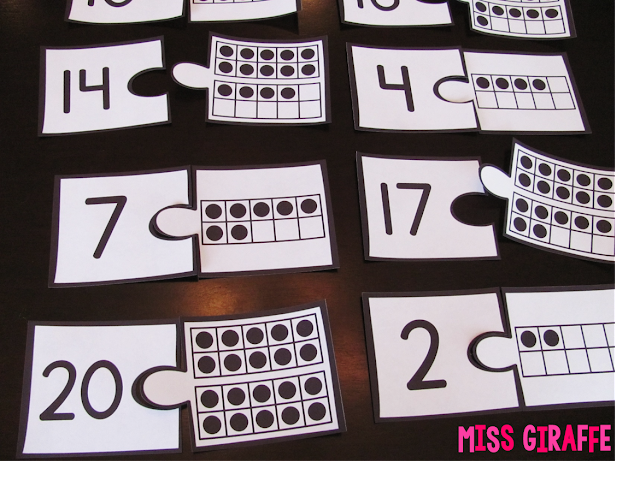 Number sense is one of the many concepts that your students will come to you all over the board. 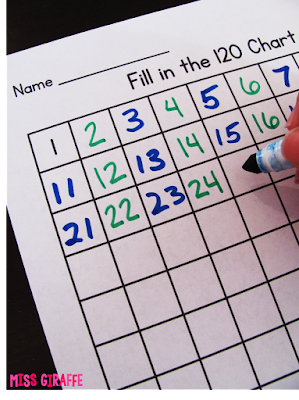 Some will be able to fill in a 120 chart on day 1 and others will still be struggling with one-to-one correspondence. That's why it's so important to assess them day 1 and throughout the year. I have A BUNCH of 1-20 charts, 1-50 charts, and 1-100 charts for assessments that you can use all year. I have a blank version of each as well as a totally traceable version of each for the students who really need extra help. 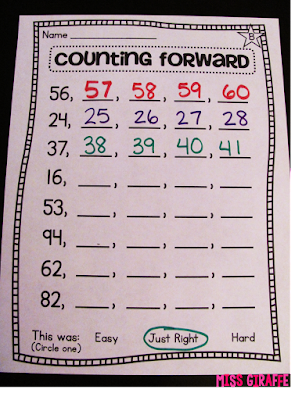 Slip a traceable one in a sheet protector and have that struggling kiddo use a dry erase marker to write their numbers with the 1-20 chart, then the 50, then the 120. I also have charts where some numbers are already filled in... in different levels. For example, a 120 chart where only a few numbers are missing that they have to fill in, one where a decent amount are missing, one where all but a few numbers are missing, etc. I'm all about the differentiation! 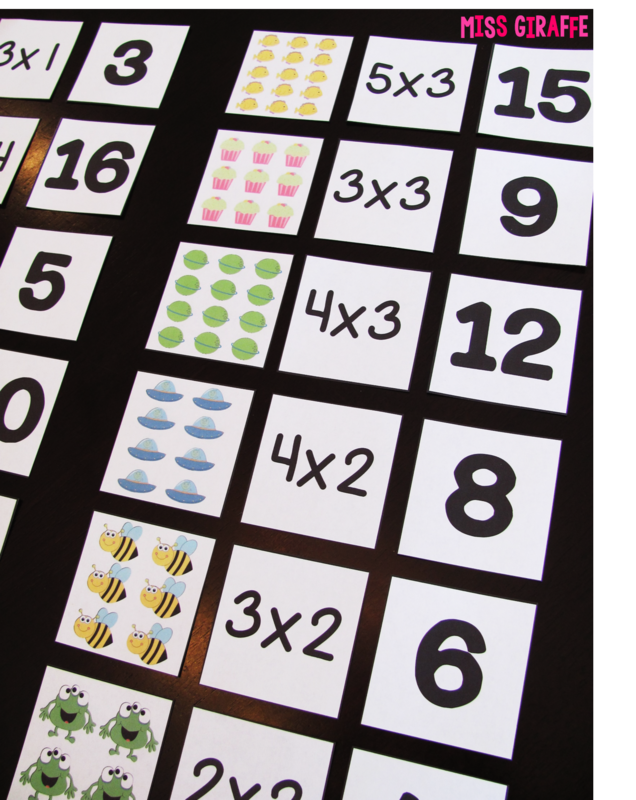 I also have number recognition boards where the numbers are mixed up - you and the student you're assessing each get one. Just cross off the numbers they miss. There are 3 assessments to a page and space to date it so you can see the progress. & of course, just a normal unit test like I do for all of my math units. 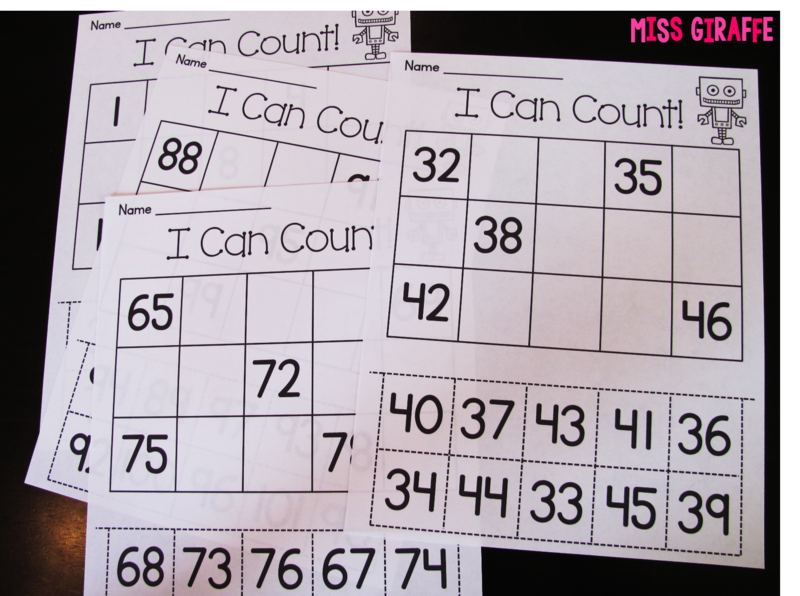 These are just SOME of the many number sense activities, worksheets, and centers found in my Number Sense math unit. 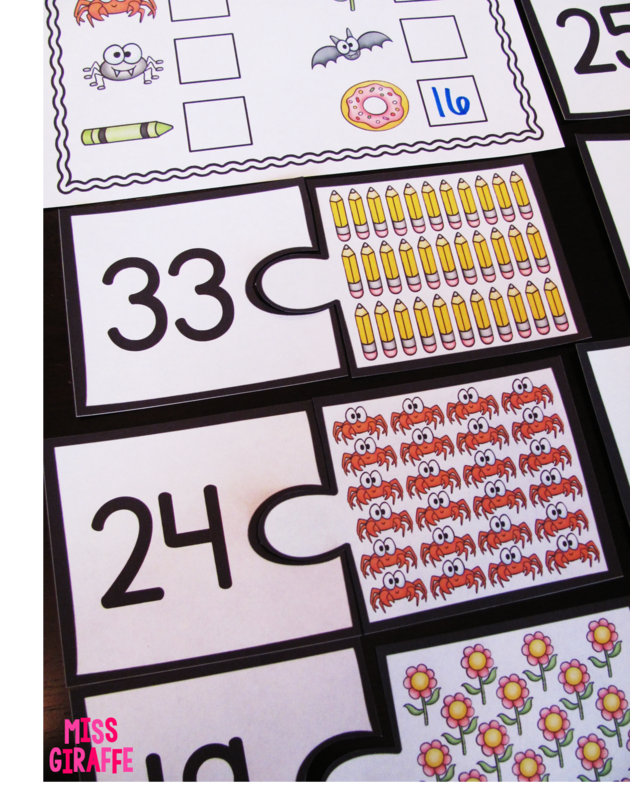 If you want to get all of the centers, worksheets, and activities you saw in this blog post - and a whole lot more number sense fun - in a simple click, they are all bundled up and ready for you in my First Grade Math Unit 1 pack! Click HERE or on the image to grab it! I also have this in Spanish: Sentido Númerico! 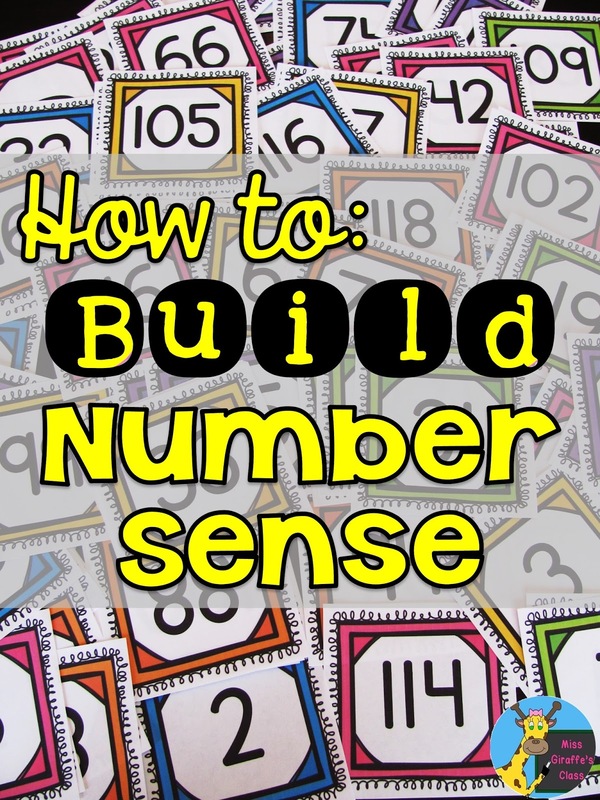 I really hope you were able to get some great ideas for teaching your students number sense from this post! I know my posts are often really long but I just always want to provide you with lots of ideas that you can take into your classroom. I really appreciate you taking the time to let me share them with you! Every teacher who reads teaching blogs in their spare time (which I know isn't much!) 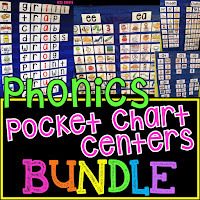 is a ROCK STAR in my eyes so if you're feeling overwhelmed with the beginning of the year and how in the world you're going to teach these little kiddos number sense, don't worry! You've got this. You're using what little free time you have to help yourself become an amazing teacher... and you know what that tells me? You already are!